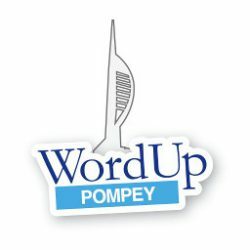 Code of Conduct - WordUp Pompey! The WordPress Portsmouth User Group believes our community should be truly open for everyone. As such, we are committed to providing a friendly, safe and welcoming environment for all, regardless of gender, sexual orientation, disability, ethnicity, religion, preferred operating system, programming language, or text editor. In service of this goal, the WordPress Portsmouth User Group organisers will be taking nominations for exemplary citizens. Alert community organisers if you notice a dangerous situation or someone in distress. Participate in an authentic and active way. In doing so, you help to create WordPress Portsmouth User Group and make it your own. Unacceptable behaviours include: intimidating, harassing, abusive, discriminatory, derogatory or demeaning conduct by any members of WordPress Portsmouth User Group and related events. All WordPress Portsmouth User Group venues may be shared with members of the public; please be respectful to all patrons of these locations. Unacceptable behaviour will not be tolerated whether by other attendees, organisers, venue staff, sponsors, or other patrons of the WordPress Portsmouth User Group venues. If a participant engages in unacceptable behaviour, the community organisers may take any action they deem appropriate, up to and including expulsion from the community without warning. The WordPress Portsmouth User Group team will be available to help participants contact venue security or local law enforcement, to provide escorts, or to otherwise assist those experiencing unacceptable behaviour to feel safe in the community. Contact us via social media, email or the contact form. This Code of Conduct is heavily borrowed from the awesome work of Open Source Bridge and is released under a Creative Commons Attribution-ShareAlike license.